This person is not a member of any groups. 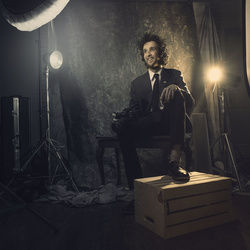 Eli Dreyfuss is a professional portrait photographer based in sunny Miami, Florida. He focuses on making ordinary people look like movie stars in his small home studio. He creates images that are mere works of art. Shortly after graduating high school he quickly established himself in the art world and became an internationally awarded & published photographer and film maker. At just 20 years old, his work been featured in The New York Times, NBC, Macy’s, PetaPixel, SLR lounge and dozens more museums around the country.